There are two reasons for the leakage of low temperature solenoid operated hydraulic control valve, firstly the main reasons is the seal deformation in the low temperature state. When the temperature of the medium is decreased, the volume change is caused by the phase change of the material, and the sealing surface with high grinding precision is produced to cause warpage, leading to the bad sealing. Two is the external leakage. It is mainly due to the flange connection between low temperature solenoid valve and pipe, due to the connection pad, connecting bolts, and the connection between the material at low temperature shrinkage caused by the relaxation of the gap and lead to leakage. Therefore, the connection mode between the valve body and the pipeline can be changed to the welding structure, then the low temperature leakage can be avoided. Another is the stem and packing leakage. These are the main reasons for the leakage of low temperature solenoid operated hydraulic control valve. Working pressure of rexroth 4WE6 Directional Valves is 32Mpa,the same as NG3 valve and Cetop3 valve. 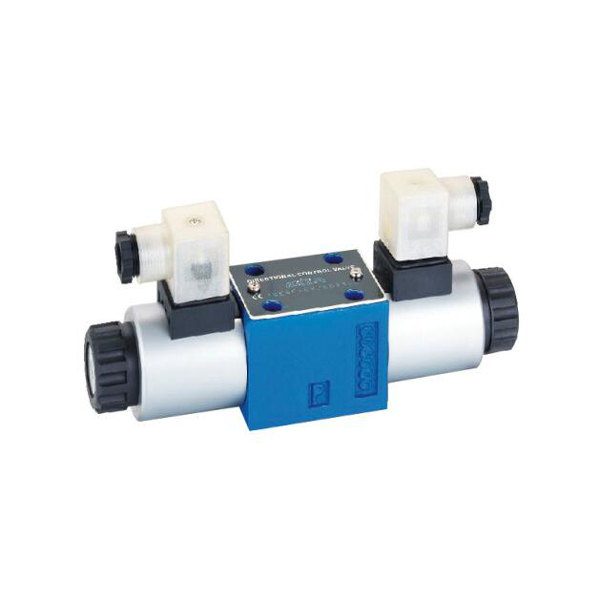 4WE6 directional valve are usually used for changing the oil flow direction of hydraulic power,hydraulic working system and industrial hydraulic system.